Who Does What In A Bankruptcy and Consumer Proposal? Home » Blog » Who Does What In A Bankruptcy and Consumer Proposal? Just how does a consumer proposal work? It’s actually not that complicated. Today I sat down with Scott Schaefer, Chartered Accountant, Consumer Proposal Administrator, and Licensed Insolvency Trustee at Hoyes, Michalos and Associates to discuss the roles of specific parties during a bankruptcy and consumer proposal. Scott explains the meaning of a debtor, creditor, and trustee, and breaks down the filing process, step by step. Debtor – The person that owes money and is financial difficulty. Creditor – The person or company that has loaned money and is owed money back. For example, credit card companies, banks, payday loan companies, the government, or even your mother. Trustee – Trustees are appointed and licensed by the government to administer bankruptcies and consumer proposals. Becoming a licensed insolvency trustee takes time and experience. Most trustees have a university degree or many, many years of work experience. The process involves many courses and exams; and once you have completed those, you sit before the Board of Examiners which includes a trustee, a lawyer, and a government representative for an oral exam. The entire process takes between three and five years on average. What is the trustee’s role during a bankruptcy or consumer proposal? To gain a better understanding of your situation, your trustee will sit down with you to discuss who you owe money to, what your income is, and what is going on in your life that is causing you stress. Next, they will explain all of your options to help you find the best solution for your personal needs. This consultation is free and there is no obligation to make your choice on the spot. Once you have made a decision about which debt solution works best for you, your trustee will file your paperwork with the government, in return, receiving confirmation that they have officially been appointed to administer your file. After your paperwork is filed, your payments will begin. Your trustee will be paid from this pot of money as regulated by the government. …[Trustees are] the ones to make sure all the rules get followed. [Trustees are] the ones that make sure both the debtors and the creditors do what they’re supposed to do throughout the process. What is the government’s role during a bankruptcy or consumer proposal? If you equate it to a hockey game, the referees are the ones who are calling the game, who make sure everything happens [the trustee]. But up above, there’s somebody watching, making sure that the referees are doing their job as well [the government]. One division of the government is Canada Revenue Agency (CRA) who review and process all tax related documents. CRA is commonly listed as a creditor in many bankruptcies and consumer proposals. The Bankruptcy and Insolvency Act (BIA) does govern tax debts in the bankruptcy or proposal process so these are included just like any other debt when you file. It is possible for a meeting of creditors to be called during a proposal or bankruptcy. If a meeting includes the trustee, the debtor, and the creditor. The meeting is held to gather more information so that creditors can come to a decision about those debts. In a bankruptcy it’s rare, and only if the creditors have extra questions. During a proposal, creditors will be deciding whether they will vote to accept the terms of the proposal (each creditor gets one vote for every dollar that they are owed), or to counter the proposal terms to request more money. In the majority of proposals, a settlement is reached prior to the meeting and no parties actually attend. What are credit counselling sessions and why do I need to attend? …It’s actually giving people some tools for themselves, for themselves to move forward and get a fresh start. They’ve cleared their debts, they’re moving forward and they’re making things a lot better. All credit counselling sessions are done one-on-one and not in a group session as each individual’s circumstance is different. The trustee’s goal is to provide you with practical, real-life advice. Scott used the example of setting up an emergency fund in an account that does not include fees and is in a different place than your regular banking; that way, your emergency fund is “out of sight, out of mind” and will only be used for emergencies. …put it into an RSP, put it into a tax free savings account. Make it so there is something benefiting yourself. There’s proven studies out there that show that we spend more money when we charge something than we do with cash. I’m already buying this other stuff, I might as well just put it on the credit card and not worry about it. If you’ve got physical cash in hand or you’re using your debit card, you only buy exactly what you [need]. You can read more about how a consumer proposal works. 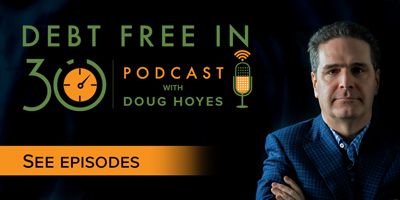 Doug Hoyes: Welcome to Debt Free in 30, the show where every week, we talk to industry experts about debt, money, and personal finance. I’m Doug Hoyes. Today it’s time for yet another Frequently Asked Questions show. This will be show number two. And I’m joined today by Scott Schaefer who is a Chartered Accountant and Bankruptcy Trustee with Hoyes, Michalos & Associates. Welcome to the show. Doug Hoyes: One of the questions we get a lot is, who are all these players? When someone has to do a bankruptcy or proposal, people get confused. What’s a debtor? What’s a creditor? How does the trustee fall into this? How is the government involved? So, let’s go rapid fire, piece it together and go one by one. So, who’s the debtor? Scott Schaefer: The debtor is the individual that owes the money. So, the person that is in financial difficulty. Doug Hoyes: Okay, so if you’re listening to this show right now and you have debts, well you’re a debtor. So, what’s a creditor? Scott Schaefer: A creditor is a person who is owed the money to, so, the person who has lent the money and is owed money back. Doug Hoyes: So, a common example would be a credit card company, a bank, a payday loan company, the government these are all creditors, taxes, all those things are creditors. Okay, so that’s what debtors are and what creditors are. A trustee, what is a trustee? What’s their role in the whole insolvency process? 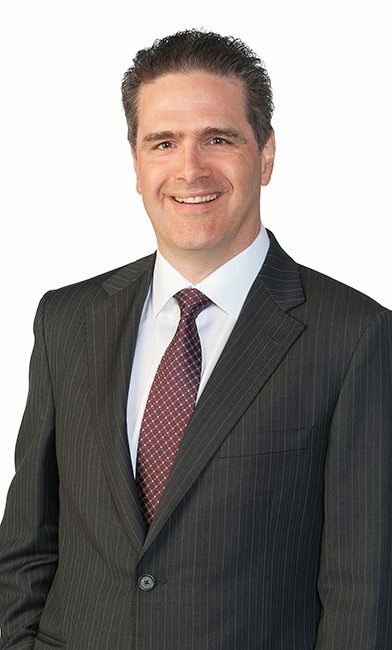 Scott Schaefer: A trustee is the person who is appointed by the government who’s been given a license to perform the duties within the bankruptcy and insolvency act, which means that we are the guys who are able to do a bankruptcy, to administer it, to do the consumer proposals, who are licensed to complete that process. Doug Hoyes: So, just on a bit of a tangent here but how does one get their trustee’s licence from the government? Scott Schaefer: It’s a long process. So, you have to have a background that gets you into the program. You’ve got to have lots of experience and you go through a program to develop your skills and knowledge in the different resources and at the end of the day you sit and exam before the government, an oral board exam, and they decide whether to give you a licence to be a trustee. Doug Hoyes: Cool and I’m actually quite familiar with how the process works because I am actually one of the Oral Board of Examiners and have been for a couple of years now. So, in order to get a trustee’s licence you typically have to have a certain amount of experience. Most trustees have university degrees. If you don’t have a university or college degree then you have to have extended work experience, literally many years. There are many courses that you take and there are exams at the end of those courses and then you do a final exam and if you complete that then you get to sit before this oral board of examiners, which is exactly what it sounds like. There’s a trustee, a lawyer and a representative from the government in a room, you talk and if you get the right answers then they give you a licence. So, you can’t get a trustee’s license in 30 minutes. This is a multiyear process. The average person who has a trustee’s license, it took them between probably three and five years to get that license. So, once you’ve got that license you are able to administer a bankruptcy or a proposal. So you’re kind of the middle man in the process. Scott Schaefer: Absolutely. You’re kind of like the referee. So, we’re the ones to make sure all the rules get followed. So, we’re the ones that make sure both the debtors and the creditors do what they’re supposed to do throughout the process. Doug Hoyes: So, walk me through it chronologically then. So, someone’s in financial trouble. They can get on the phone, they can call you, they can email you, whatever. You sit down you meet with them, the first step is what? Scott Schaefer: To understand their situation. So, we understand who they owe money to, what their income is, what’s going on in their life, what’s causing them the stress of the situation? From there we sit down and we analyze the options; whether someone needs to do something for a bankruptcy or consumer proposal or if there are other ways of getting out of their debts through working with banks or paying the debts. We look at all the options for them to find out what’s right for that person going forward. Doug Hoyes: And what does it cost for you to figure out all these options? Scott Schaefer: Nothing. As a referee in the process we can’t be paid by the individual. So, there’s no cost for those meetings. Doug Hoyes: So, once the proposal or the bankruptcy is filed – so let’s assume that that was the decision that resulted from it – you become the trustee, as you say you’re appointed by the government so you actually file the paperwork with the government. They send you back something officially appointing you to administer the process, at that point the debtor (the person who owes the money) is going to start paying money. It’s putting money into the pot. Your fees come out of the money that’s in the pot. And of course that’s all set by the government, right? Scott Schaefer: Absolutely. It’s all set, regulated. Doug Hoyes: Now we talked about the government, so we’re going through who all the players are here in an insolvency. What role does the government have when someone goes bankrupt? And let’s talk about different divisions of the government. So, the Office of the Superintendent of Bankruptcy, what role do they have in the process? Scott Schaefer: They’re the ones – I like to refer to them as the legal guardians. They’re the ones who ensure that everyone is following the rules within the act. So, they follow up with the trustee. The trustee is the one that reports to them. They’re the ones who have the stewardship of the information, the record keeping and the filing of all the information. The trustees the one that handles all the paperwork and operates the game but it’s the head office that has the paperwork at the top. Doug Hoyes: So, they are the regulator. They’re the ones that make sure as the trustee, you’re doing your job. And they keep a pretty close eye on you I assume. Scott Schaefer: Absolutely. If you equate it to a hockey game, the referees are the ones who are calling the game who are making sure everything happens. But up above there’s always somebody watching, making sure that the referees are doing their job as well. Doug Hoyes: And that’s where the superintendent of bankruptcy comes in. And I know, having been a trustee for many, many years, they do regular monitoring, they come into our office, they review our files; but they’re also doing it on a very regular basis remotely by looking at every single document that we’re sending them and we’re sending them dozens of documents every day. Anything goes wrong they’re obviously going to pipe up and make sure that there’s not an issue. So, we talked about one branch of the government, the Office of the Superintendent of Bankruptcy. What about Revenue Canada? How often do you see them involved in either a bankruptcy or a consumer proposal? Scott Schaefer: Well, they’re regularly involved because tax debts are a common thing. People have tax debts from being self-employed from working two jobs, from receiving pension income and not enough taxes coming off. So, Revenue Canada or Canada Revenue is involved in a lot of files because they are a creditor, they are owed money. That debt is because of Federal law. The Bankruptcy and Insolvency Act is Federal law. So those two laws kind of marry up. So, the Bankruptcy and Insolvency Act does include income tax debts or tax related debts, because it’s Federal law. So, they are not a unique or special creditor in that sense that they have special rights for the common credit card debts – sorry income tax debts – they are very much like a credit card for income tax. Doug Hoyes: So, if you go bankrupt in a normal situation – I mean I’m ignoring a situation where you committed some massive fraud or something, – but in a normal situation, Canada Revenue Agency, debts that you owe for income taxes or for overpayments of GST or something like that, HST, those are regular unsecured debts, just like a bank loan, just like a credit card, they go away. Doug Hoyes: Okay, so you filed all this paperwork and the bankruptcy or the proposal is up and running, it is possible that a creditor’s meeting could be called. So, let’s talk about the case of a consumer proposal, a creditor’s meeting – I guess it’s exactly what it sounds like. It’s a meeting for the creditors to do what? What happens? Scott Schaefer: To learn more information. Doug Hoyes: So, they can ask questions? Scott Schaefer: Absolutely. So, in the room is the trustee, the debtor and the creditor. Remember that the process is about both sides. You know understanding it and going through the process together. So, the debtor has the right to get a fresh start but the creditor has the right to understand that. So, if it’s a proposal, they’re deciding whether they’re going to accept it or not. If it is a bankruptcy they’re giving the direction to the trustee if there’s things that need to be done. But if it’s in a consumer proposal, a creditor’s meeting is for the acceptance of that proposal. In most cases a creditor’s meeting is just discuss a counter offer in between there. So, an offer is made, the creditors want a little bit more and most times that’s actually resolved before the meeting so nobody actually comes to the meeting. Doug Hoyes: So, a creditor’s meeting is really a formality. It very rarely amounts to anything because as you say it’s already been decided in advance. And in my experience, again over the last 25 years or so, I don’t ever recall a case where a representative of a major bank or a major credit card company or in fact any credit card company, ever physically showed up at a creditor’s meeting. Have you ever had a case where one of them did? Scott Schaefer: Not for a consumer proposal, not for a general, every day situation. Doug Hoyes: It just doesn’t happen. In my experience the creditor’s meetings, the most common attendee would be Canada Revenue Agency. Scott Schaefer: Absolutely. And so, what they’re looking for in that case, somebody owes a bunch of tax debts. Normally it’s because they’ve been self-employed. So, they’re going to say, let’s consider the offer you’re making but what’s changed? How are you now not going to have a tax debt going forward? How are you going to make this good for you going forward and we’re not back at the table three years from now owing a bunch more tax debt. So, for an individual to get Canada Revenue back on board when they are the majority creditor has to have a plan to ensure that they’re not going to be a tax debtor going forward, that they have a plan to deal with their tax debts going forward and then they can deal with the consumer proposal for the past debts. So, it’s really about the plan for all for them. Doug Hoyes: Got you. And as you said in most cases these things are going to be sorted out in advance. If we filed a consumer proposal and one of the creditors, people you owe money to, isn’t happy, which means they want more money, then you’re going to have discussions with them right away. Hey, guys what do you want? What’s it going to take? What can the debtor afford? Everybody signs off on it. So, by the time you get to the creditors meeting, yep we’ve already agreed, sign here. Scott Schaefer: And the other part too, is looking at a creditor’s meeting it means a majority. So, either the majority of the creditors have to be part of it. So, one creditor by themselves generally can’t make a difference, it’s the majority of the dollar value. So, each creditor gets one vote for every dollar they’re owed in a consumer proposal. Doug Hoyes: And so very rarely does anyone have to show up at a creditor’s meeting. That’s kind of what we’re saying. Okay, well those are some good answers. We’ve got a bunch of other things we’d like to cover but we’re going to take a quick break here. This is the Frequently Asked Questions show here on Debt Free in 30. We’re back on Debt Free in 30. My name’s Doug Hoyes and I’m joined today by Scott Shaefer, who is a Chartered Accountant and a consumer proposal administrator and Bankruptcy Trustee with Hoyes, Michalos & Associates. Before the break, here on our Frequently Asked Questions show, we were going through some of the processes, some of the players who exist in a bankruptcy or consumer proposal filing. One of the things that you have to do if you owe money and you file either a bankruptcy or a consumer proposal is attend two credit counselling sessions. Why is that? Scott Schaefer: Well, the laws are set up to give people a fresh start and to help them through that. So, part of the helping of it, is that people have a couple one on one meetings to talk about the future. Two are the minimum. People can actually meet with their trustees several times if they needed to. But they’re required to meet two times to discuss what’s happened and to ensure that things can move forward, that they have plan to rebuild credit, that they have a plan to use credit wisely. Kind of cover all the things that people need to, to make a better and brighter future for them. Doug Hoyes: So these credit counseling sessions are for the benefit of the person who’s got the debt problems. Scott Schaefer: Absolutely, they are. Doug Hoyes: They’re not designed to be some kind of punishment. It’s we want you to have a fresh start. We don’t want you to get into this mess again. So, let’s give you some tangible, practical things that you can do to not have this problem again. Scott Schaefer: Yeah, I think sometimes the word itself is scary to people, the word counseling. It’s not directly counselling, it’s actually giving people some tools for themselves, for themselves to move forward and get a fresh start. That they’ve cleared their debts, they’re moving forward and they’re making things a lot better. Doug Hoyes: So, do you do these personally yourself? Doug Hoyes: And are they a one on one session? Scott Schaefer: One on one. There’s no group sessions at all that we do. It’s purely one on one. Doug Hoyes: One on one. So what you’re trying to do is give the person you’re meeting with some very practical, real life advice then. So, can you give me an example of some real life practical kind of advice that you’ve given someone in one of these credit counselling sessions? Scott Schaefer: Absolutely, so when we sit back we look at okay you’re now on a cash based system. You don’t have credit cards anymore. You’re now moving forward with cash in hand and what happens if something goes wrong? So, it’s planning for the events that could happen, the unexpected items. So, everybody I like to work with is to ensure they’re truly setting up emergency funds, reserve accounts, separate bank accounts that can accumulate interest and that they can set money aside. So, when the car breaks down, when Christmas time comes around, when the kids need something, they have an account that’s available for them. So, they can use real cash without incurring debt. In the past, they were relied on credit cards for those items. Now they don’t have to worry about having credit cards, they now need to make some money for themselves. So, it’s kind of building up the budget so they can actually handle those things going forward. Doug Hoyes: And that’s kind of the starting point for it, right? I need to know where my money goes. And in a lot of cases I get into trouble because I don’t know where my money went. Scott Schaefer: And so much of it is just going to credit cards and paying this and using that, then paying this. It’s just a shuffle of paying the different credit cards that makes it hard. Doug Hoyes: And so, for an emergency fund, how do you recommend that people set that up then? Is it a separate bank account? Should it be an envelope with some cash under my mattress? What’s the best way to do that? Scott Schaefer: I personally like having people set them up in a separate bank account, quite often such as President’s Choice Financial or Tangerine account, out of sight, out of mind. They put the money over there. It’s a bank that they can transfer money to. They have access to it through either CIBC or Scotia Bank or any of the credit or any of the bank machines. But it’s a separate account that’s used for just that. People can keep it in the same bank as their savings account but they see it every single day it becomes so available for them. So, I always like to say put it in a safe spot where there’s no service fees, grows with interest a little bit, but you know that money’s available to you. Doug Hoyes: So you mentioned a couple of different banks there. Do you get a kick back or any kind of commission from any of those banks or are you associated with any of those banks? Scott Schaefer: Not at all. What I like about them is there’s no bank fees. Doug Hoyes: So, that’s what it comes down to. There’s no service charges therefore you can put your money there. You’re not going to lose five dollars every month from what you’re putting away. Scott Schaefer: Correct because part of life is reducing our costs and not spending any extra money than we have to. Paying a larger service fee to hold your money doesn’t make a lot of sense. Doug Hoyes: It doesn’t make sense. Unless you absolutely need the extra service then why would you? And let’s face it, everything’s electronic these days. Most of us get our pay cheque deposited electronically, we pay all our bills online, so using a bank like that, a virtual bank as it were, is a good way to do it. Scott Schaefer: Any savings account at any bank would work but the key is to know that that money is set aside for special items. It’s not meant for every day spending. It’s not meant for just anything else. It’s truly meant for those other accounts, for other items. Doug Hoyes: And so would you recommend then, if I get paid every week I put a little bit of money every week into one of those accounts? Scott Schaefer: Absolutely. It’s a – the old principle pay yourself first. A little bit of every pay cheque should go into that. Sometimes it’s a bigger chunk, sometimes it’s a small chunk. But the key is that it is one of the bills you pay. You pay yourself into that savings account. Doug Hoyes: And these are the kinds of things you would talk about one on one to someone in a credit counselling session. Doug Hoyes: And the people you’re meeting with, you’ve already met with them before, probably on multiple occasions. You’re already familiar with their budget because as part of the bankruptcy or consumer proposal process, they have to prepare a budget. So, are you then following up then with them? Okay, so here’s what your budget looked like at the start, where are we at now? What changes have you made? Is that the process that evolves? Scott Schaefer: Absolutely. And most times they tell me. Most times when we sit down and talk people tell me – the first meetings are within the first two months, the next one depends on when we want to have it, anywhere from 30 days to four months later. So, we have some time to do these meetings. They key is, what’s right for that person. So we sit down and say, okay you’re two months into it. How are you? What’s going on with the budget? It’s amazing what difference happens by the time we meet the second time. So, each person will tell me how they’re doing with their budget, whether they’re still pay cheque to pay cheque or whether they’re actually getting some money set aside or whether they’re moving forward. Because when they come out of the process, they need to be ready to be totally debt free and living on the cash based system so that they can rebuild strongly. Doug Hoyes: And this whole thing about the cash based system, everyone gets scared. How am I going to be doing that? I’ve been robbing Peter to pay Paul. I’ve got to have multiple credit cards because I can’t survive. I think people kind of forget that, well wait a minute, once you do a proposal your debts are wiped out. You’re not paying those credit cards; you’re not paying the bank loans and lines of credit. You’re making one payment on your proposal and that’s it and if we’ve done it correctly, if it makes sense then you’re cash cost each month has gone down. Instead of trying to make $1,000 a month in minimum payments on all your different debts, we do a proposal where you’re paying four or five hundred, there should be some extra cash there. And that’s what becomes the savings plan. Scott Schaefer: Absolutely. And when they’ve done the process, covert that into a RSP or an RESP for the kids or anything else. When you’re done what you’ve been paying in a bankruptcy or proposal should not be money that you put toward yourself. You’re debt free, you’ve done a bankruptcy, you’re done the proposal, your discharged, you’re released from it, you’re clear. You’ve been paying that amount every month; make it something good for yourself. Put it into a RESP, put it into a tax free savings account. Make it so there is something benefiting for yourself. Doug Hoyes: And so you talk about benefits, is there life after bankruptcy? Is there life after you do a consumer proposal? Scott Schaefer: Absolutely. Everything’s about rebuilding and starting over. The banks make so money on interest, they will allow people to finance things again. To get mortgages most times the banks want people to be discharged for two years. So, the time that they start, they get released either nine months or 21 months, there’s a difference there, but two years after that period of time is when the banks start looking at them again for a mortgage. So, people if they’re able to save up and rebuild, then they’re able to gain mortgages, to gain car loans and that kind of stuff. Doug Hoyes: But the key is, I have to be able to save up. I’m not going to be able to go bankrupt, finish my bankruptcy and go buy a big house with no money down. It doesn’t work like that. Scott Schaefer: And the biggest part is going back to this cash. When people have been paying with cash, they’re now very aware of how much money they have. So, to go out there and get a loan they know well okay, if I haven’t been able to save up that three or four hundred dollars a month for a loan, and now I’ve taken a car loan, how am I going to pay it if I didn’t have a budget in the first place? Doug Hoyes: And that’s a very good point, that cash, paying with cash is emotionally a lot different than paying with a credit card. Paying with a debit card and seeing the money come right out of your bank account immediately is a lot different than, okay I can pay for it at the end of the month. I think that really forces you to be very careful with your money, make sure that you’re not over spending. Scott Schaefer: There’s proven studies out there that show that we spend more money when we charge something than we do with cash. I’m already buying this other stuff. I might as well just put it on the credit card and not worry about it. If you’ve got physical cash in hand or you’re using your debit card, you only buy exactly what you want. Doug Hoyes: Yeah you can’t spend it then. Scott Schaefer: You don’t overspend. Credit cards are a massive incentive to overspend and credit card companies know that. Doug Hoyes: And so the answer to the question is there life after bankruptcy, well yes there is but, it starts with you. Doug Hoyes: You’ve got to have a savings plan. You’ve got to keep close track of your expenses and that’s how you can recover. Scott Schaefer: And the other part is when I always say to people, before they start the process where would they be a year, two, three years from now if they kept paying the minimums that they’re paying now? Would they be in a better or worse position? Most people say they would be in no better position; if not they’d be in a worse position with interest. So, it allows them to deal with their debts to clear it out, so they can have a fresh start. Where if they kept going at the cycle they’re going now, owing $50,000 in credit cards or whatever it is, they’re not going to be in any better position down the road. Doug Hoyes: And that’s really the whole point of a fresh start. So, fantastic, I really appreciate that. Thanks for joining me Scott. Doug Hoyes: My guest today was Scott Schaefer, and we started by reviewing the role played by of all of the people involved in the insolvency process. Scott also talked about creditors meetings, and he gave us some examples of practical tips he gives people during credit counselling sessions. I don’t have time today to review every item Scott and I discussed, so I’ll comment on just one of his points. Scott explained that the role of the trustee is as a referee, a “middle man”. The trustee’s job is to ensure that everyone plays by the rules. This is a key point, because I occasionally here advertising that says “don’t go talk to a trustee, they work for the creditors”. That’s simply not true. Scott doesn’t get hired by the people you owe money to. You walk into his office and ask for help, he helps you, and you and he works out a plan and get the process started before he ever speaks to one of your creditors. So does that mean he’s working for you? No, he’s the referee, so his job is to make sure both you and the creditors follow the rules, so that the process is fair to everyone. It’s a win-win situation. Full show notes with links to everything we talked about are available on our website at hoyes.com, that’s h-o-y-e-s-dot-com. Great discussion of the insolvency process here that clarifies many myths that I know many have. Education of the public is a great service that your Debt Free In 30 show is providing. Will be sure to share a link to this show on social media. Great information here, especially about credit counseling. I’ve known people who felt embarrassed to be in their situation and didn’t want to go to counseling. It’s important, however, as it definitely helps you get back on track financially. Without a solid plan, all your other efforts are wasted. Thanks for the great article.